The Defense Department confirmed that airstrikes in a November raid near the town of Harim, Syria caused the deaths of two girls. The confirmation comes from an internal investigation of the raid, which was published Thursday. It’s also the first announcement made by the US stating that its airstrikes have killed civilians in Syria since the air raids began in September 2014. The Obama administration’s strike on November 5, 2014 – part of its Operation Inherent Resolve strategy – targeted the meeting place of soldiers linked to the so-called Khorasan Group, an Al-Qaeda subsidiary. The investigation found that prior to the strikes, the Department of Defense confirmed the Khorasan Group was using buildings in the area for military purposes, and that there was no indication of children near any of the buildings. The strikes also injured two civilians living near the targets, according to the investigation. Previous reports have questioned the validity of US claims that there have been no civilians killed as a result of the airstrikes. 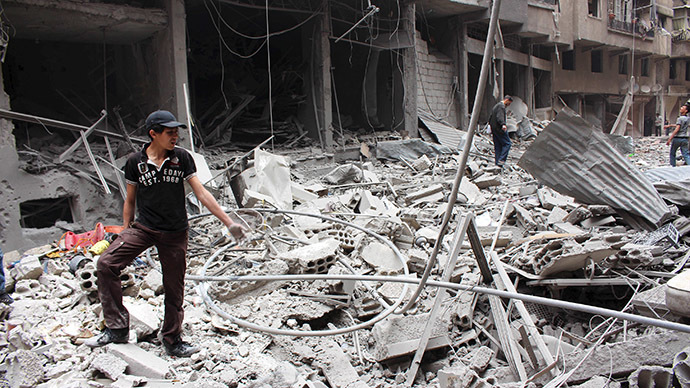 The Syrian Observatory for Human Rights said just this month that an air raid had hit a civilian village by mistake and claimed 52 lives, including seven children. The Reuters news agency has reported that 118 civilians have died since the campaign began in September. In a related story, the White House in April said that two hostages, an American and an Italian, died in Pakistan earlier this year as the result of a US-launched drone strike that also killed two American citizens involved with Al-Qaeda. Officials said that the attack in January against a suspected terrorist compound caused the death of American development expert Dr. Warren Weinstein and Giovanni Lo Porto, an Italian aid worker. Ahmed Farouq, an American considered by the US government to be an Al-Qaeda leader, was killed in the same strike that caused the deaths of Weinstein and Lo Porto. “Based on the intelligence that we had obtained at the time, including hundreds of hours of surveillance, we believed that this was an Al-Qaeda compound, that no civilians were present and that capturing these terrorists was not possible,” he said.